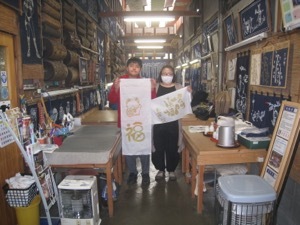 Let's enjoy Rocketsu dyeing in Kyoto!! 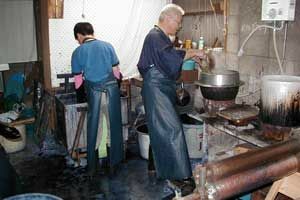 our studio is the only place in Japan where visitors con experience the entire roketsu dyeing process. by a free design can experience it. 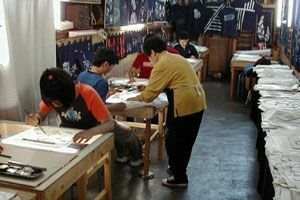 trying traditional Japanese crafts with your own hands will add another unforgettable memory to you stay. There is other size, too. performs resist style with wax. 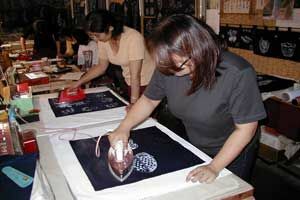 picture a design in cloth with a writing brush with the wax which dissolved. dye the cloth which drew with wax and drop wax and wash in water. the part which applied wax is dyed white. repeat this process for the plural dyeing. It features a unique crack design by crazing of the wax being dyed. Same-day reservations are also possible. In our site, a link is free.